If you’re not into windproof gear, you really should be. I still remember the revelation of my first outing – all the warmth of a waterproof as the thermometer plummets, but without the unpleasant clamminess that even the fastest-breathing fabrics still suffer from. There is a ladies’ version too, also on sale. If it rains, you’ll certainly get a bit damp, but probably no moreso than if you’d been sweating into an eVent or Goretex jacket for an hour. The majority of rides are, in this part of the UK at least, generally dry affairs, and on all of those you’ll be enjoying significantly greater comfort. To state the obvious, being a gilet your arms are not protected. Don’t discount it. In the mild UK climate, if you like to ride at pace then outside of deep winter you’re likely to be too hot without the cooling of the wind on at least some part of your body. It’s mid November and I often find myself riding with this gilet unzipped, even at 7:30am as I’m heading into the office. If it’s cold enough for frost then the full sleeve windproof comes out, but otherwise the best balance of comfort is a decent pair of fleece gloves, a standard long-sleeve jersey and this windproof gilet. 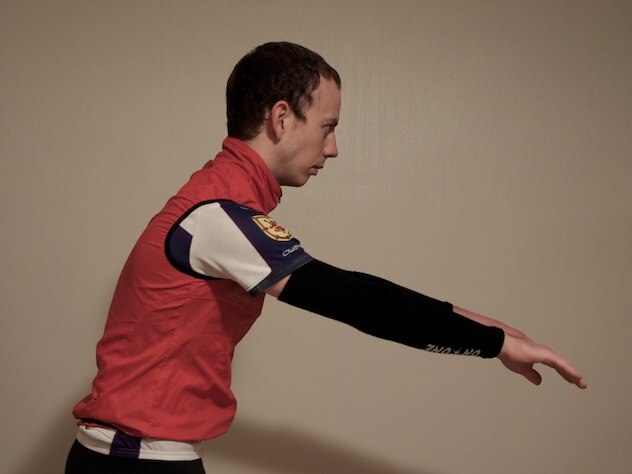 The cut of dhb’s Windproof Ultralight gilet is ‘slim fit’, which is the middle road for dhb clothing (the other options being ‘performance fit’ and ‘comfort fit’). I have ~44″ chest, which puts me slap between Large and Extra Large according to the sizing guide. Knowing that returns are free and hating flappy gear, I ordered a medium (!). Surprisingly, the fit across the shoulders/chest is fine (there’s still a little spare material I can pinch). 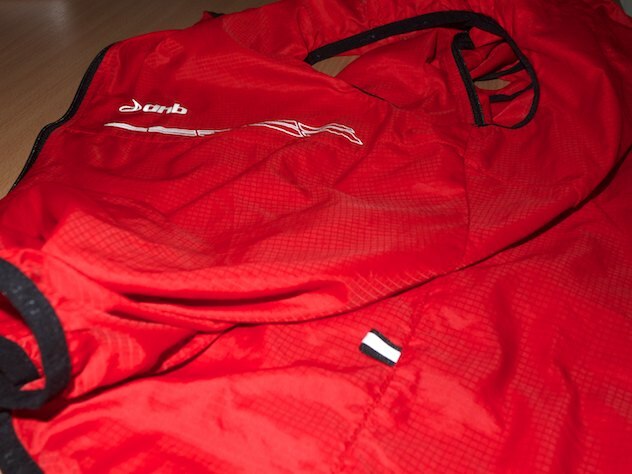 However, the Windproof Ultralight is cut very short in the body in comparison with my other outer layers. If I have anything bulky in my jersey pockets at all, it tends to sit at the top of the pockets rather than underneath. This isn’t really a problem in terms of warmth or function, but it does look just a wee bit odd, I think. If you go for a bigger size I presume you get a longer body, but the downside is that it might start flapping. Tough choice. 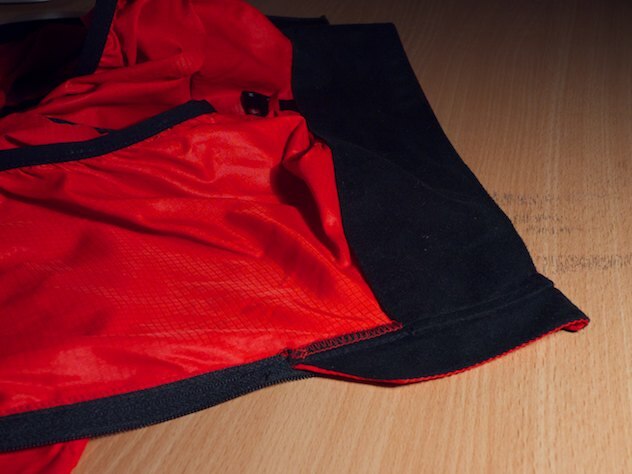 The nylon is very thin – not quite thin enough to read your jersey beneath, though. To the hand it is pleasingly silky, not plastic and nasty as one might fear. Despite the bargain basement price, the stitching is competent and still holding up despite two years use, including trail centre riding at the 7stanes. While it will shrug off normal use, a tumble would certainly not do it much good. 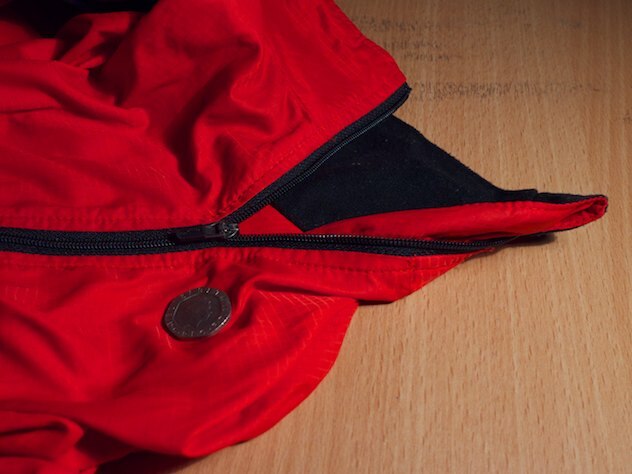 The neck is lined with a thin fleece material which makes it very pleasant against the skin, and this extends down the first few inches of the zip as a storm flap, with a curl at the front forming a welcome zip park. Otherwise, there is no storm flap (if you needed one, your arms would already have given the day up as a bad job). Taking up almost no room and weighing almost nothing (72g) the dhb Windproof Ultralight Gilet is a great way to add at least a full season’s worth of warmth to your wardrobe. 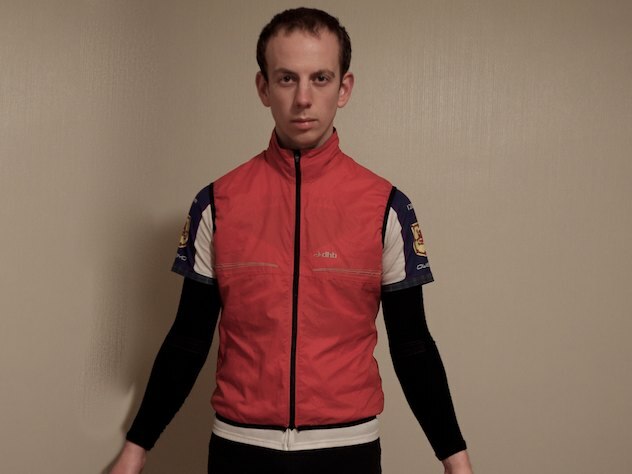 Worn over a short sleeve jersey (perhaps with arm warmers) it will see you well into the nippy sides of autumn and spring. Over a long sleeve jersey of thicker material, you may find this is all you need on mild winter days. If it rains the fabric wets out quickly, but the flipside is total comfort for the 95% of the time it isn’t raining. 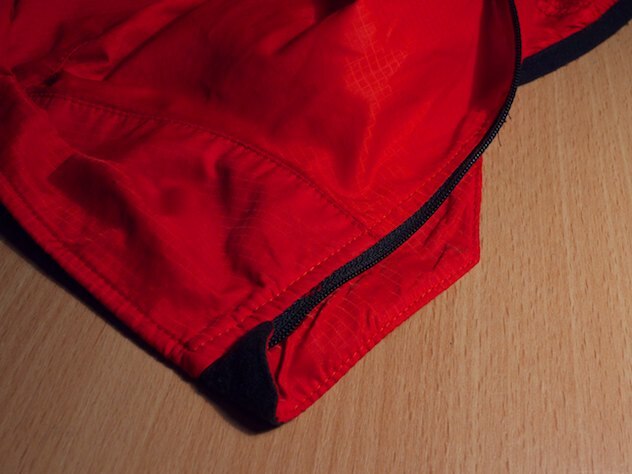 The cut may not be perfect depending on your build, and some might wish to pay more for features like a second set of pockets instead of using their jersey ones. Ultimately, for under £20 delivered, it’s an absolute bargain of a garment, and one that I can recommend without reservation. (Ladies option here).